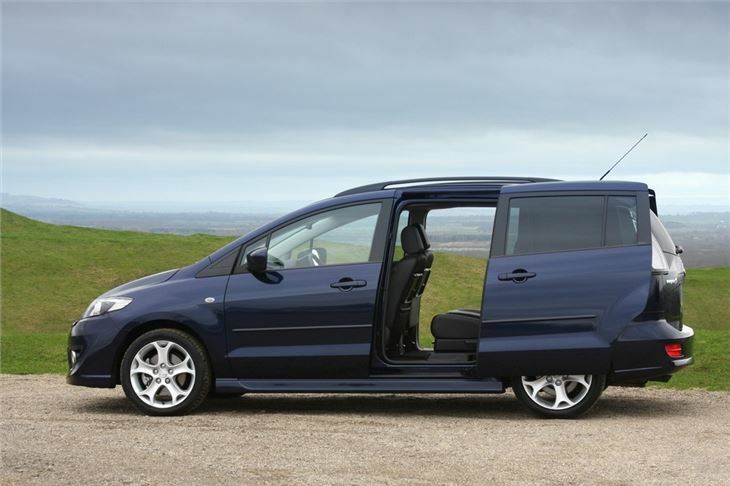 Sliding side doors, can carry seven people in comfort, well styled, rearmost seats fold flat into the floor, five-star crash test rating. Some problems with excessive tyre wear on Sport models, diesels can use a lot of oil while they're bedding in. The Mazda5 is a people carrier that ticks nearly every box on the compact MPV wishlist and is still affordable and stylish. 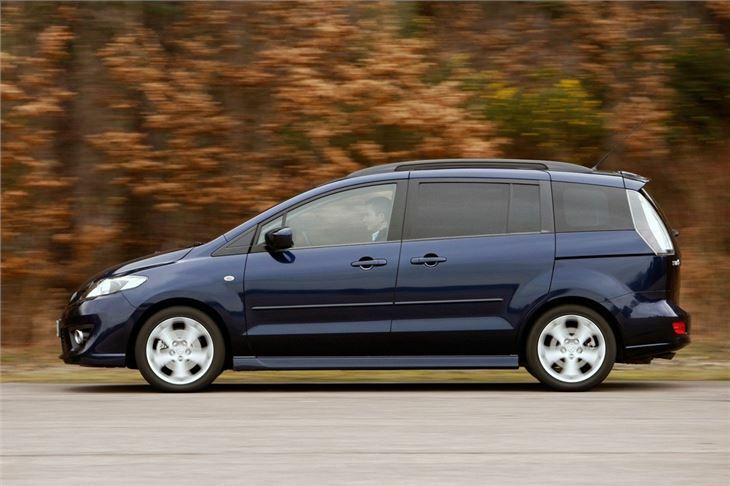 It's certainly one of the better looking MPVs around and far less boxy than many alternatives the same size. However, it's real selling point is the sliding rear side doors, making getting in and out - even in tight sports such as multi-storey car parks - easy and dent-free. Mazda has created a 6+1 seating system and it’s the middle row which differentiates it from the others. There are two individual chairs that slide, recline and fold flat, while both have lift-up bases which conceal extra storage. To create the all important seventh seat, the left-hand chair also contains an extra flip-up cushion, while the central armrest doubles as the back support. It's clever stuff and it works well. 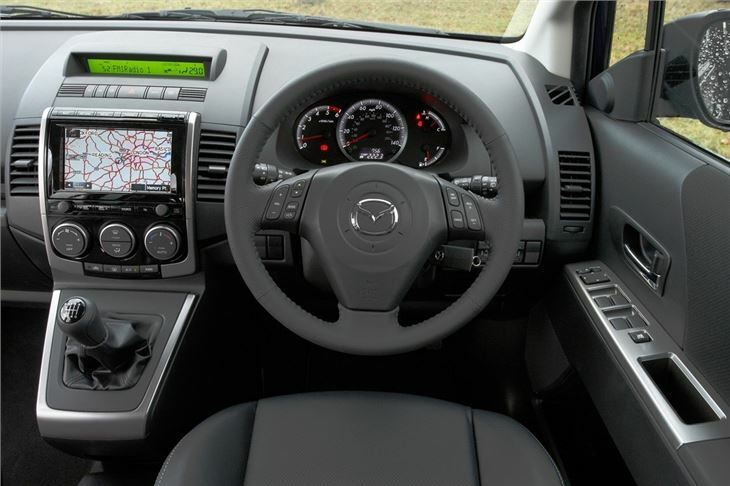 Build quality is good in the 5 and the interior feels strong and robust, evident in the folding seat mechanism. 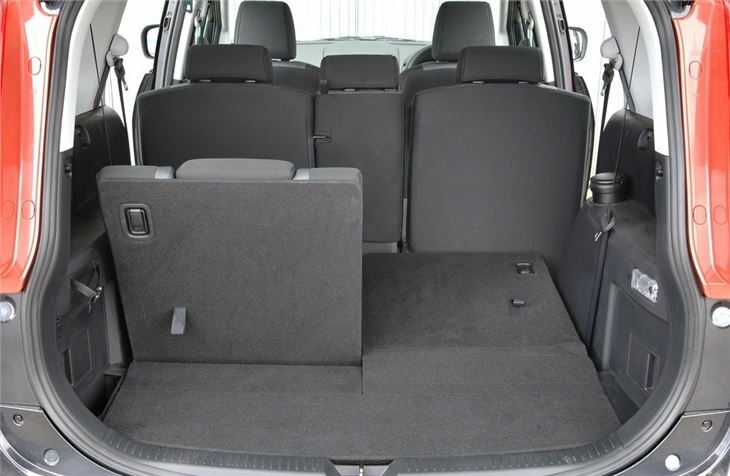 There's plenty of space inside and the third row offers considerably more space than most other people carriers this size with really impressive headroom. And it's equally as good on the move. 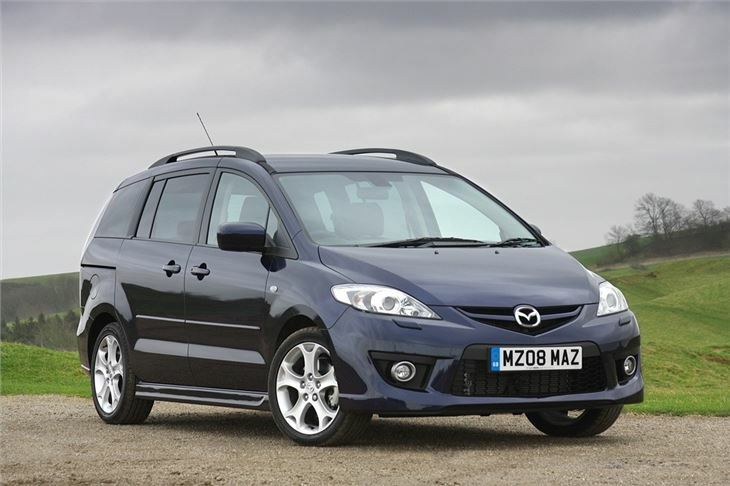 The Mazda is based on the same platform as the Ford Focus and it shows – turn in is sharp and the handling is agile while body control is very good indeed. 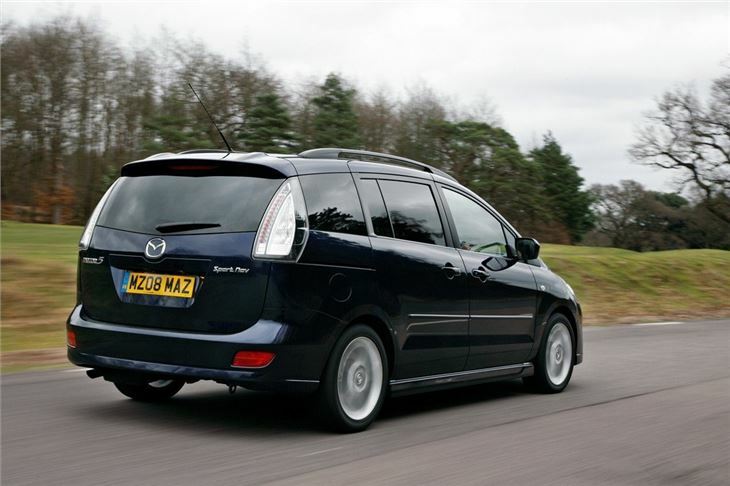 It was facelifted in 2008 with a slightly different nose while all the engines were made more efficient while a revised version of the 2.0-litre petrol engine was launched. 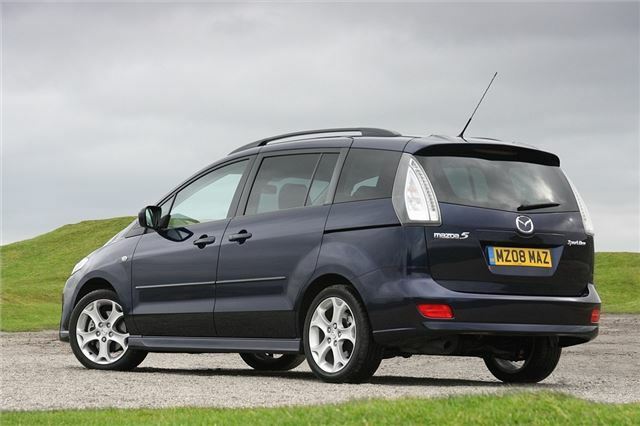 However, the best engine remains the 2.0-litre diesel with 143PS and a positive six-speed manual gearbox. Eats rear tyres for breakfast, lunch and dinner and the dealer does not give a hoot about it !